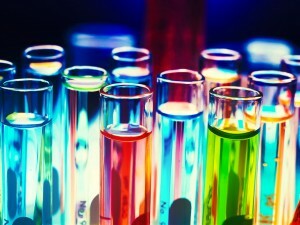 Become Career » What are Popular Careers in the Science Industry? With higher incomes than the American average and an unparalleled rate of growth when compared to other industries, it’s no wonder that so many people are looking for the popular careers in the science industry. Whether for a career change or for inspiration when it comes to choosing a college degree program, the most popular and fastest-growing careers in this industry range from those infused with technology to those focused on healthcare, research, and much more. To take advantage of the higher incomes and job placement rates of the science and research sector, consider some of the most popular professions in this area. These fields may have technology in their name, but they’re devoted significantly to both tech and the principals of sound science. In the biotechnology field, scientists are primarily concerned with developing new parts and systems that can fill in for various areas of the human body. This field focuses on everything from robotic body parts to next-generation pacemakers, genetic engineering and synthetic organs that might one day eliminate long waits for transplants. Nanotechnology is more concerned with science on a cellular level, and has produced things like Nano cameras in the past. Both fields rely on a sound understanding of both computer science and various areas of the science field, from anatomy to engineering and beyond. How can mankind harness the radiation given off by the sun to create a more sustainable energy source? How can we use wind turbines to replace coal or nuclear power? What are the best ways to break down waste, recycle it, and reuse it for something else in the future? These areas have long been a central focus of scientific research. Today, they’re a leading area of renewed hiring within the green energy sector. Scientists are looking not for solar and wind power generation methods, but into ways of using those two methods to more efficiently and effectively produce energy. Their goal is to produce more energy with fewer solar cells, or to transmit more wind energy with fewer turns of a turbine. They’ve already helped the green energy make big leaps forward in terms of production and affordability, and it seems as if they’re not even close to finished with this effort yet. Research is perhaps the single largest area of employment for those with an advanced educational background in science. The biggest area within the research community focuses on disease and biological conditions. Whether it’s a cure for cancer or simply research into next-generation organ transplant procedures, those involved with research will find that their work directly contributes to the better health and livelihood of people all around the world. According to the Boston Globe, research positions exist on both college and corporate campuses, and they typically help scientists create and patent new products, market their developments, and continually refine the current approach to health and rehabilitation. Science is perhaps the only field that has enjoyed consistent, even exponential growth over the past 100 years. From medicine to energy production, scholarly research to teaching and marketing, the most popular careers in the science industry depend solely on a candidate’s education, interests, and the type of work they wish to do as they drive the human race forward.